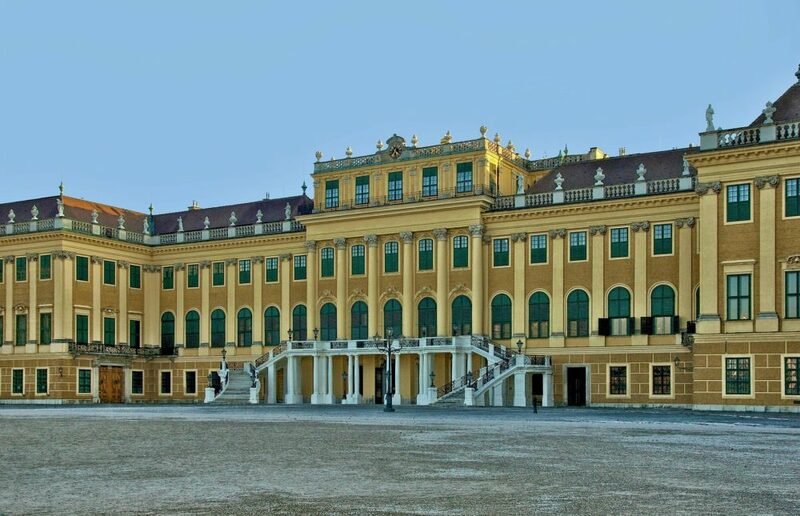 The ICAA is pleased to partner with Classical Excursions to present this special tour of Vienna's greatest architectural sites and historic country residences. During the program, participants will enjoy exclusive visits to private residences, tours of private and public art collections, and lectures by eminent scholars and experts on Viennese decorative arts and architecture. Countess Marielore Calice, who has lectured and led tours for a number of cultural associations and museums worldwide, will welcome the group and guide participants throughout Vienna and other major outlying sites. The tour begins with an opening dinner and lecture by Dr. Matthias Boeckl at the private St. Johanns Club on the extraordinarily diverse architectural history of cosmopolitan Vienna, considered second only to London and Paris among Europe's cultural capitals. Dr. Boeckl is Professor of History and Theory of Architecture at the University of Applied Arts Vienna, Editor-in-Chief of Architektur.aktuell, as well as an author of numerous essays and books. The tour features a private tour with Dr. Christian Witt-Dorring, the distinguished curator at the Österreichisches Museum für Angewandte Kunst (MAK or Austrian Museum of Applied Arts). The museum was founded in 1864, inspired by London’s Victoria and Albert Museum. Dr. Witt-Dorring is also curator of the Geymüllerschlossel (Villa Geymüller), owned by MAK, an exquisite Biedermeier house museum. Dr. Witt-Dorring will introduce the group to the Biedermeier decorative arts, as well as the Jugendstil (the Viennese interpretation of the Art Nouveau style), and the Wiener Werkstätte (the Viennese Arts and Crafts Workshop Cooperative of the early 20th Century). The tour features a private visit to the Prunksaal (Main Hall) of the Austrian National Library designed in the early 18th Century by the architects Fischer von Erlach, father and son. Home to 2.6 million books, the Prunksaal is the largest and one the finest Baroque libraries in Europe. Included on the tour is lunch at the Palmenhaus, the elegant Art Nouveau winter garden overlooking the Burggarten (Hofburg Palace Gardens). 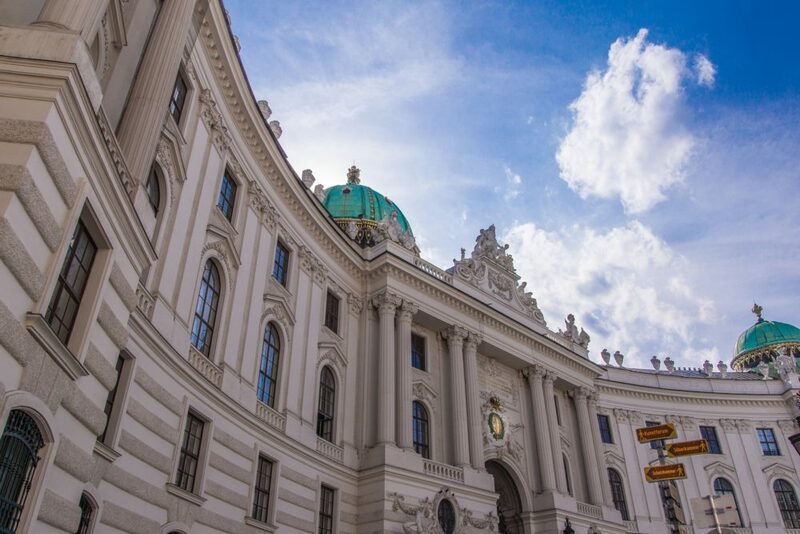 Featured on the program is a visit to the Hofburg Palace to tour the 19th Century imperial apartments, as they were left by Emperor Franz Josef and Empress Elisabeth. A special exhibit at the Palace reveals the fascinating and tragic life of the Empress. Participants will enjoy a private reception and tea hosted by Countess Elenka Batthanye at her splendid Vienna apartment that offers one of the city's finest views. The tour includes a private selective viewing of the collection at the Kunsthistorisches Museum, built between 1871 and 1891 to house a world-acclaimed art collection acquired by generations of the imperial Habsburg dynasty. Paintings from Spain, France, and Italy (Velasquez, Poussin, Titian, Tintoretto) and from the German, Flemish ,and Dutch schools (Brueghel, Vermeer, Dürer) are on display. Among the collection of sculptures and decorative arts is Cellini’s famous gold salt cellar. Greek, Roman, and Egyptian collections are also on view. 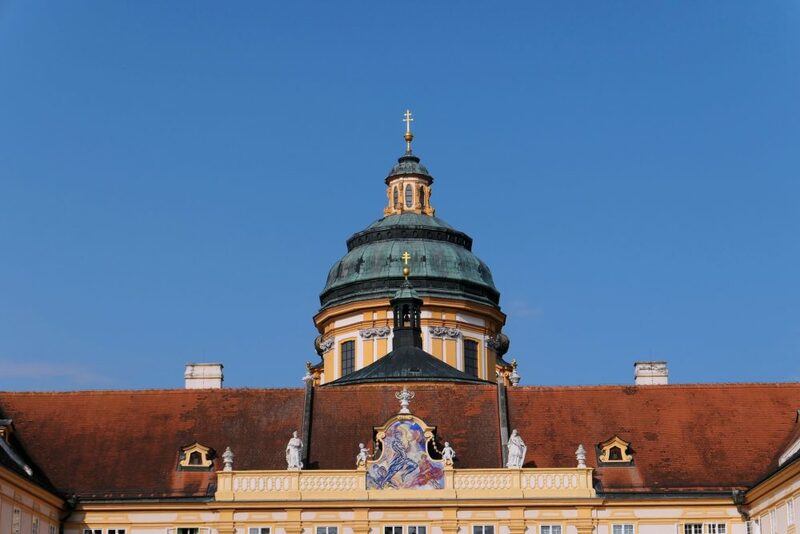 On an excursion outside of the city of Vienna by private motor coach, the group will visit the Benedictine Abbey of Melk, which owns an extraordinary collection of paintings, sculpture, and decorative art, and features a grand library. Here, the group will enjoy a brief concert performed on the church's renowned organ. The group will enjoy a private visit, lunch, and demonstration of the restoration work at Schloss Stetteldorf with owners Georg and Brigette Stradiot. Stetteldorf has stood as an example given to private estate owners who are restoring and modernizing their historical properties. The tour includes dinner at Café Central, which was once a meeting place for such intellectuals as Arthur Schnitzler and Sigmund Freud. Now one of the most splendid coffeehouses in the city, Café Central has been restored to its former elegance. 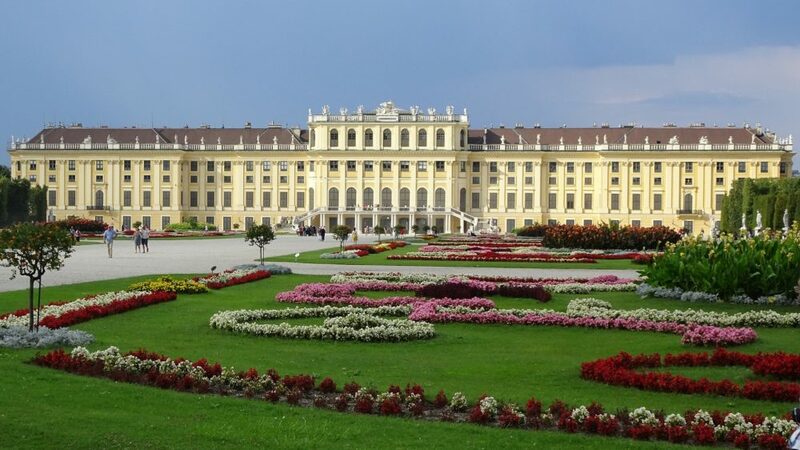 The tour includes a short journey to Schönbrunn Palace, completed in 1749 as a summer residence for Empress Maria Theresa, mother of Marie Antoinette. Here, the group will enjoy a private tour of a series of small, exquisite cabinets furnished with great sensitivity in the chinoiserie style, for which the empress had a special liking. 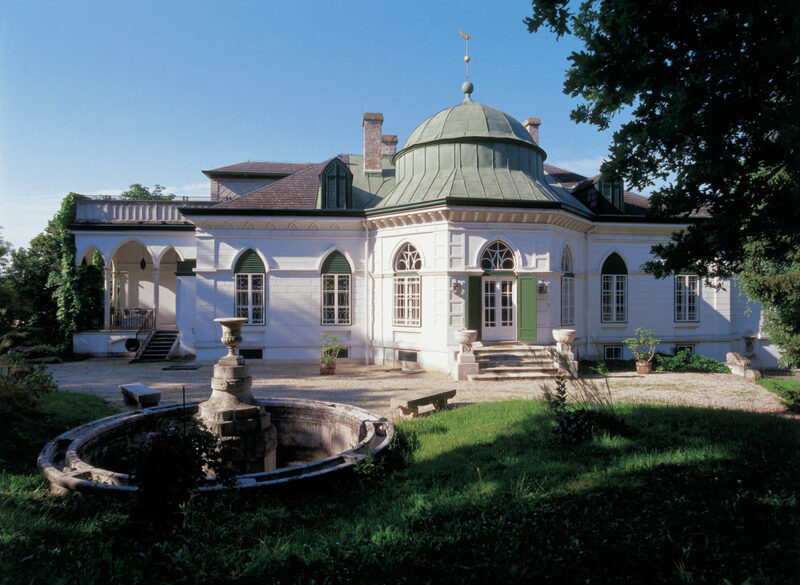 Participants will journey to Schloss Rohrau situated east of Vienna. Though dating from 1404, the castle was renovated in 1777 in the classical style. The present owner, Count Johannes Waldburg-Zeil, will welcome the group with a private lunch and introduce them to Austria’s largest private art collection acquired by ancestors who had been diplomats to Spain, Naples, Rome, and to Belgium. 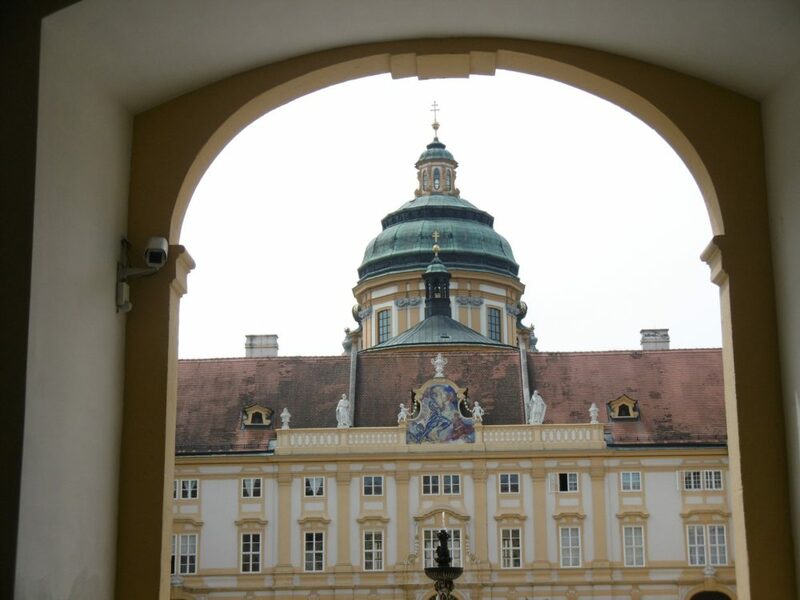 The group will enjoy a viewing of a training session (or morgenarbeit) of the Spanish Hofreitschule (Spanish Riding School) at the Hofburg Palace. The School is one of the few places left in the world where one may see a display of haute école dressage of the Lipizzaner stallions. The stallions take their name from the stud farm founded by Archduke Karl in 1580 in Lipizza (Slovenia), near Trieste. The tour includes a private reception at an elegant home in the suburb of Grinzing, a delightful village known for its vineyards located in the foothills of the Vienna Woods. A private tour of the Upper Belvedere and the Lower Belvedere Palace to view one of Vienna’s great Baroque ensembles, designed by Johann Lukas von Hildebrandt for Prince Eugene of Savoy. Today, the Upper Belvedere houses a major art collection, including paintings by such artists as Klimt, Makart, Romako, Schiele, Renoir and Van Gogh. The Lower Belvedere serves as the Museum of Austrian Baroque Art. The tour includes Sunday mass sung by the world-famous Wiener Sängerknaben (Vienna Boys’ Choir) at the Burgkapelle (Hofburg Palace Chapel). The choir was founded in 1498 expressly for the purpose of singing mass for the Habsburg rulers, later with works by such composers as Mozart, Schubert and Haydn. Participants have the option to enjoy an evening at the Wiener Staatsoper (Vienna State Opera), one of the world's great opera houses. The opera house was the first of the grand Ringstrasse (Ring Road) buildings to be completed when it opened in 1869. The house was destroyed during the last days of World War II, but as it was vastly important to the musical life of the city, it was completely restored and reopened in 1955 with a performance of Beethoven’s Fidelio. The Ringstrasse was a large 19th Century urban development project. 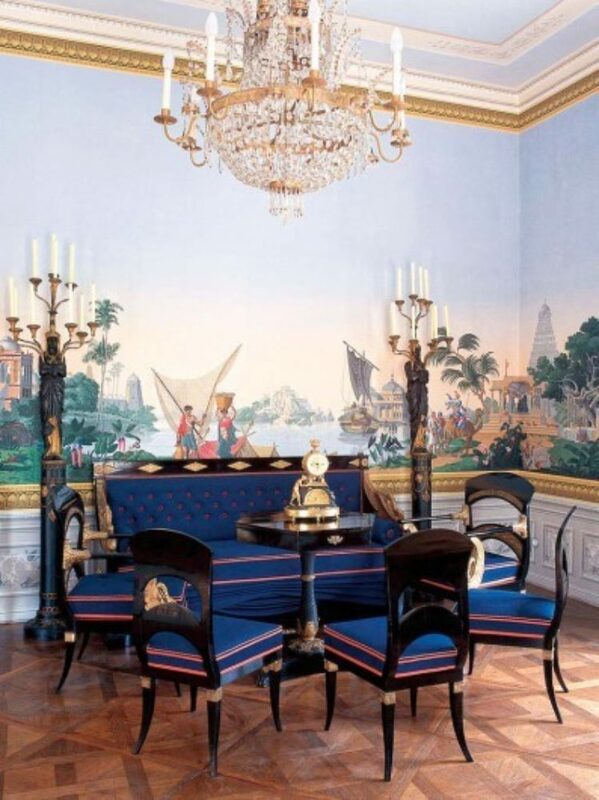 Six-night stay at the elegant five-star Hotel Sacher Vienna. Breakfast and lunch included daily.